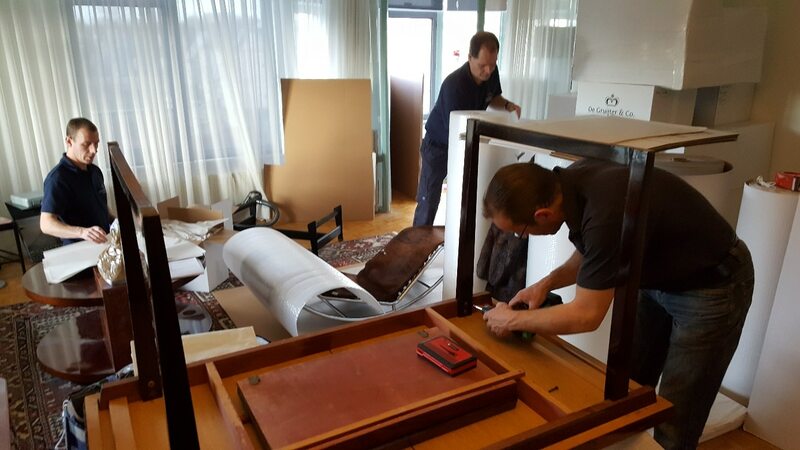 Needless to say, you can call upon Royal De Gruijter & Co. to provide all the standard services you would expect from a professional moving firm, including customs formalities and temporary storage. We can also pack your household contents prior to the move and unpack them at your destination. If you wish, the same team will be responsible for both packing and unpacking, even if this means travelling to the other side of the world. But our services go beyond the ‘standard’. In association with our sister company, Noble Mobility, we offer a full range of relocation services, from submitting your visa application to finding a sports club or local shopping centre. Our ongoing partnership with Noble Relocations has many benefits for you, the customer. Not only are the lines of communication very short, but you can be confident that Noble Relocations staff share our desire for quality and are accustomed to meeting the exacting requirements of very discerning customers. If you wish, our staff will be happy to unpack your belongings and arrange everything in your new home according to your instructions. We do not do things by halves: we have even been known to sort towels according to colour! We have a global network of service providers, all of whom are specialists in their respective fields. They include interior designers who can furnish and equip your new home to your exact specifications. If you have items that demand special attention, we are able to offer creative solutions. A valuable artwork that must be transported in climate-controlled conditions or a heavy garden ornament: nothing is too much of a challenge. By filling out the form beneath, we will be able to provide you with a price indication on a national or international removal. Rather call us for consulation or advice? Please call us, we’re there for you: +31 (0)71 – 589 93 13.